Gizmodo’s top tech reporters (including, but not limited to…Sean Hollister, Chris Mills, David Nield, & Kiona Smith-Strickland) are continually updating us with their experiences & advice as they upgrade & test out Window’s 10. Here’s a link to the constantly evolving news, which is literally hot off the press in most cases, written by these highly respected technology reporters. LifeHacker author Eric Ravenscraft wrote a great overview very early this morning. In his brief but concise look at some of Window’s 10 new features, he provides some of the most compelling arguments for upgrading to Windows 10 right now. I began writing my original post on July 22. I researched literally every aspect that I could to answer the questions posed to me about Windows 10, when it was going to be officially launched, and what features would be included in the first official release. Below are links to what I feel are the best resources currently available to help me, my friends & family, and my followers decide when, or if upgrading to 10 is a good idea. 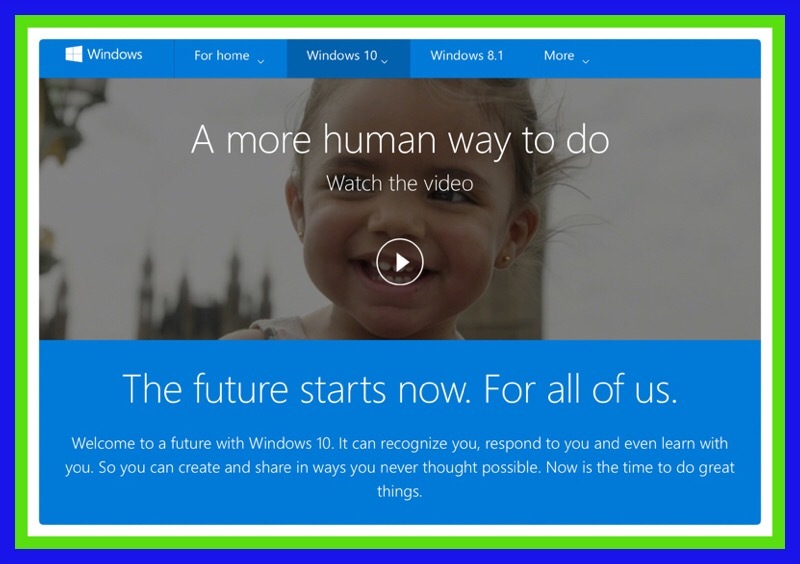 Windows 10 will be released officially on July 29th. In anticipation of that I’m boning up on features and the state of the OS right now, about a week before the big release. Since I have friends and family members who are following this topic with interest I decided to post links to some of my favorite articles here. This entry was posted in Computer Purchasing Advice, Computers, General Technology Articles, Tech Topics, Uncategorized, Windows 10 and tagged Windows 10. Bookmark the permalink.